Several homes from the "Harry Potter" universe, including the real-life 4 Privet Drive and Hermione Granger's childhood home, have hit the market through the years -- but the latest Potter home listing tops them all. The home that served as birthplace of the Boy Who Lived in the movie adaptation of "Harry Potter and the Deathly Hollows" is on the market for $1.29 million. Fans will recall the home as the setting of Lily and James' brutal murders at the hands of Lord Voldemort. 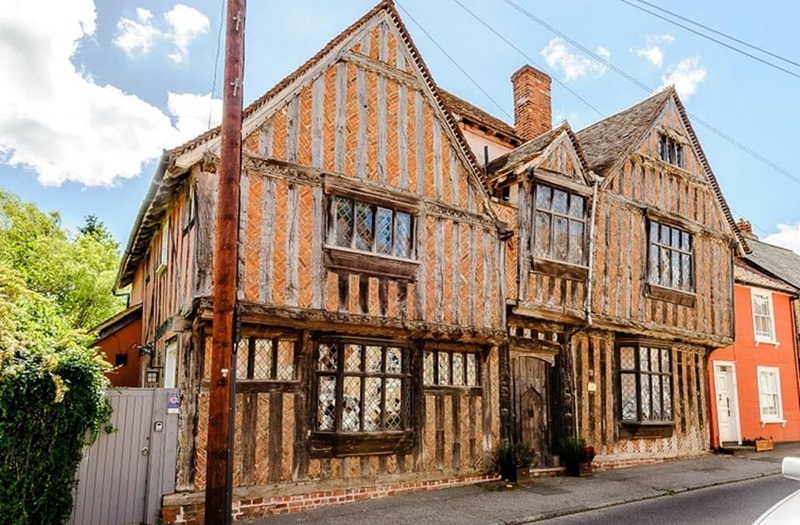 Located in the medieval village of Lavenham in Suffolk, England, the stunning 14th-century timbered residence is reportedly the second-most photographed home in the United Kingdom after the prime minister's residence -- and it's not hard to see why. The home was owned by the powerful De Vere family from the 16th to 17th centuries -- and its finishings reflect its impressive pedigree. The unique exterior features exposed timber and herringbone "brick nogging" and leaded paned windows. Medieval and Tudor details continue throughout the interior of the home, as well, like exposed beams, painted walls and a stone spiral staircase. The property currently consists of a private residence and an bed and breakfast, but the listing notes the two wings can be easily connected to create a large, single-family home.